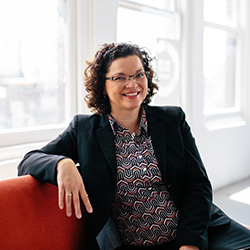 Maria LaLonde manages NEI’s high-growth and inclusion grantmaking strategy and grant portfolio. She previously served on the leadership team for Bizdom, a tech startup business accelerator founded by Dan Gilbert that invested in and supported high-growth, tech-enabled startups. Maria is a serial entrepreneur that has founded businesses in the recruiting, automotive, and real estate industries. She has over 20 years of experience evaluating and building businesses, processes, and programs. Maria has served as a judge and mentor for over 50 business competitions and is a founding co-creator of the Detroit BizGrid. She has served on advisory boards for Invest Detroit’s Accelerate Michigan Innovation Competition, the Michigan Women’s Foundation’s EmpowerHER Social Venture Competition, TechTown’s DTX Launch Detroit Accelerator program, the Michigan Economic Development Corporation’s Angel Capital Development Joint Evaluation Committee, the Forward Cities Detroit Council, the Junior Achievement of Southeast Michigan’s Youth Entrepreneurship Taskforce, and the Detroit Mobility Initiative. Maria is a Detroit native and graduate of Michigan State University. Follow her on Twitter @GoodForDetroit.